Aspiring golfers can learn to play the game without even paying a single dirham as part of Abu Dhabi City Golf Club’s (ADCGC) free coaching week. Since starting on Friday, it has already been a big hit among juniors and with it running until Saturday, September 22, there is still time to take advantage of the fantastic free coaching on offer. ADCGC have held the coaching week initiative for the past five years and are confident 2018 will be another success. 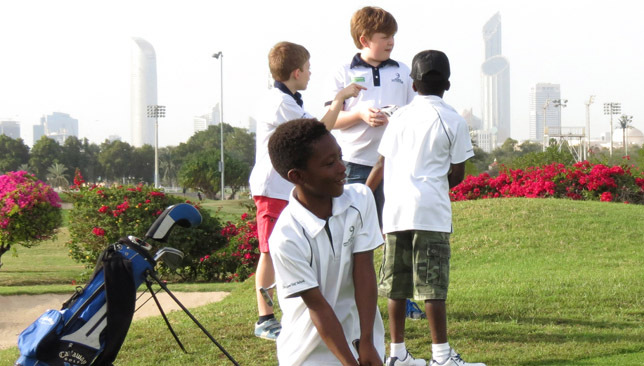 “Here at Abu Dhabi City Golf Academy we always look for new ways to attract more golfers and especially junior golfers to the game,” said David Taylor, head professional at Abu Dhabi City Golf Academy. Classes are held between 17:00 and 18:00 on weekdays and 09:00 to 10:00 on weekends. Open for ages 4 to 16, youths can learn different aspects of the game. “During the one-hour session, our team of PGA golf professionals will introduce the basic movements, rules and etiquette of the game to all the new golfers in age specific groups,” added Taylor. “The juniors will enjoy three golf related activities that will offer a snapshot of what we offer in our Junior School. The first activity will be a fun warm up, encouraging team work. “The second will introduce the juniors to putting on a specially designed crazy golf course. The final activity will get the juniors learning to swing and hit the ball long, high and straight. On top of that, there will also be a buggy ride. With a few days to go until the free coaching ends, Taylor insists there are plenty of positives on why parents should enroll their children. 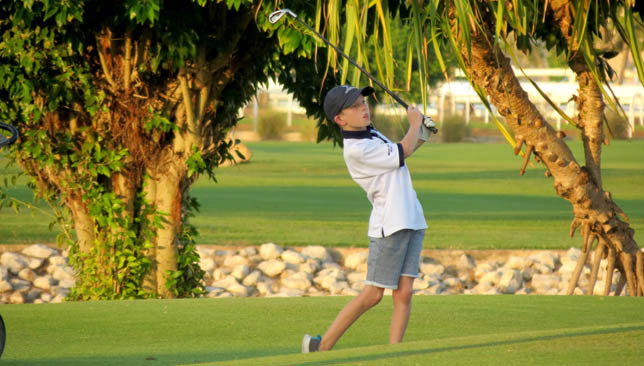 “Very simply, this is a great opportunity for all juniors to try golf at Abu Dhabi’s favourite junior golf academy and all for completely free,” he added. 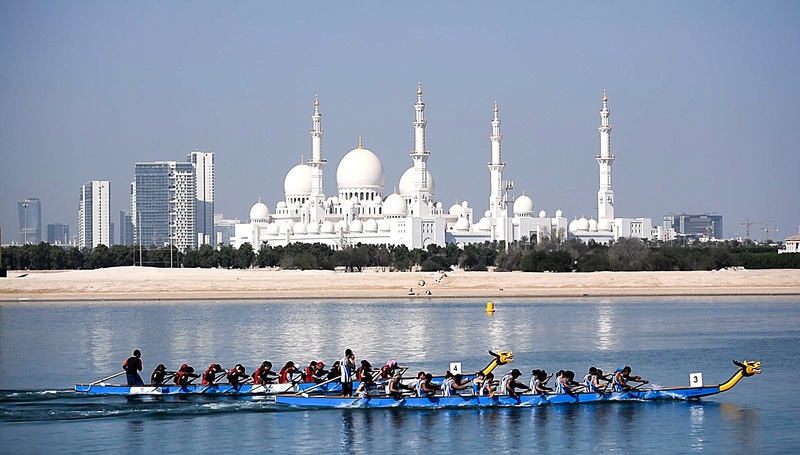 The Abu Dhabi Dragon Boat Festival is back for its 11th edition to inspire competitors to hit the water for the traditional race. Registration is open until September 28 for the event, which will offer spectators heart-pounding action at the beachfront while competitors race the dragon boats parallel to the shore amidst thunderous roars. In addition to the spirited competition along the 1km stretch of the private beach, spectators can also enjoy cultural entertainment, music and a host of fun activities and entertainment throughout the day. Organised in partnership with Siren Events, UAE Dragon Boat and UAE Sailing and Rowing Federation, the Dragon Boat Festival is an annual fixture hosted every October at Shangri-La Hotel and Traders Hotel, Qaryat Al Beri to embrace its Asian roots while creating unforgettable moments for the residents and the visitors of the capital. Team participation includes the supply of a dragon boat and all necessary equipment, as well as two 60-minute training sessions with an internationally-acclaimed training coach. Each team can have a maximum of 20 members with prices starting from Dh2,500 per team for registration. As part of the action-filled weekend at the complex, a special Dragon Boat festival edition of the Friday Smoking Vibes BBQ party will be held at Afya, the beachside restaurant at Traders Hotel, Qaryat Al Beri for all participants to continue the celebrations of the centuries-old Chinese tradition. The barbecue is also available to guests attending the festival for a fee of Dh206. To register a team, visit www.facebook.com/shangrilaabudhabi or www.facebook.com/tradersabudhabi. 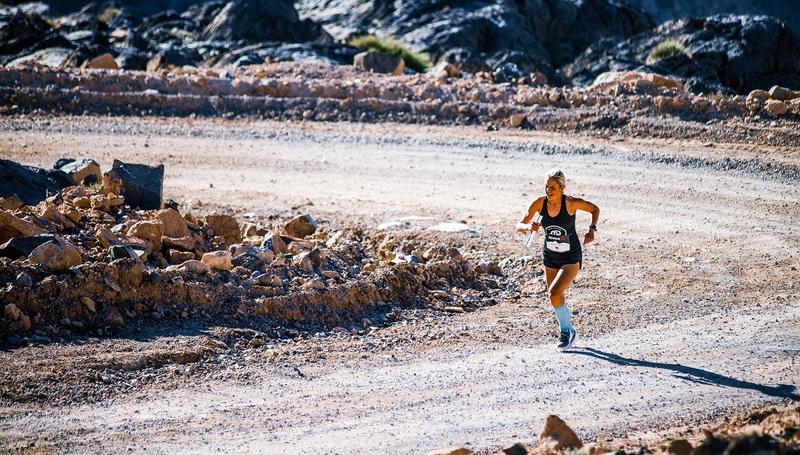 Back by popular demand, the Reebok Wadi Bih Run returns to the UAE event scene, but this time the Hatta hills will play host to hundreds of keen athletes, corporate teams and fitness fans. With a majestic mountain backdrop and brand-new routes, the race – held on Friday, November 9 – promises to be a run calendar highlight as participants tackle distances of up to 70km in a team relay or as an individual. This special edition marks the addition of another beautiful UAE location and Wadi Bih’s second outdoor running event of the year – the first being the famous 72km run held in Dibba in February. The exciting new Hatta loop course offers 70km (two loops), 35km (one loop), 20km and 2.5km distances, welcoming all abilities and levels. Hatta is just a short 90-minute drive from Dubai and since this race is being held in the Emirates, no passports are required. Despite not being held in Wadi Bih, the name remains as the brand is synonymous with escaping into the UAE countryside to create epic trail running races for teams and individuals, challenging their commitment, determination and stamina. The location will always change as the organisers go in search of inspiring new routes and Hatta is their latest discovery. 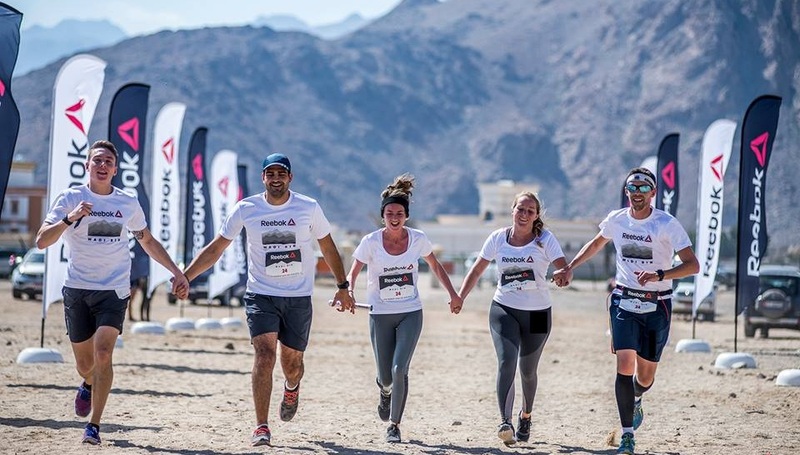 If you are looking to boost employee morale then each Reebok Wadi Bih Run is a great team-building event that encourages people to have fun and live more active lifestyles, not to mention bond on the move as they find their running groove covering either 70km or 35km together as a relay team of five. These fun and engaging races help strengthen communication skills and build people’s confidence as well as their ability to shine under pressure. With a maximum elevation of up to 620m and an average of 194m, just imagine the sensational mountain views and magical moments you will share throughout the run. Come race day, runners will find themselves running through plantations, villages and over undulating gravelly terrain. The route starts from the JA Hatta Fort Hotel and goes uphill, along the border and towards the Hatta Dam – aesthetically pleasing and picturesque to help the miles flyby. marks the spot for a quick team transition and tactical talk. So why not challenge your colleagues or departments to put a relay team together and participate? Be creative with your name and you could also win a bonus prize. There is still plenty of time left to train and all the races take place on the same day, making it an action-packed event. The new 2.5km category for kids means you can also make it a full-on family affair, enjoying the race village and hotel facilities to freshen up, refuel and recover. Food and refreshments will be served after the race for both runners and spectators who register. Registration is open through www.premieronline.com.